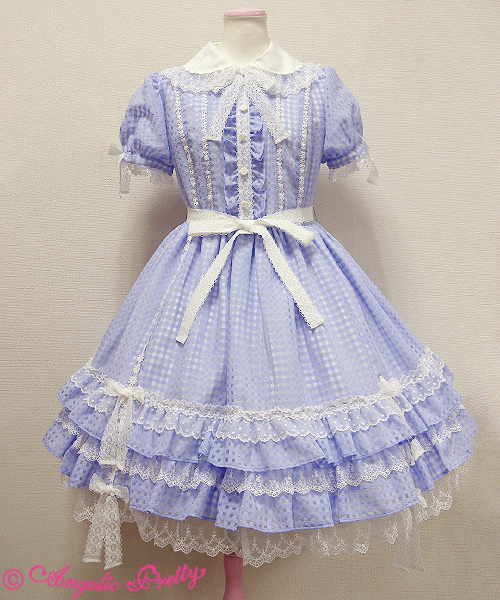 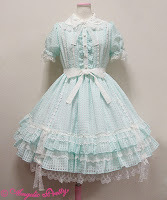 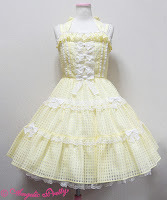 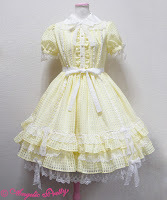 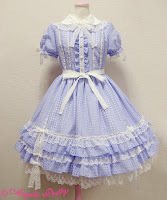 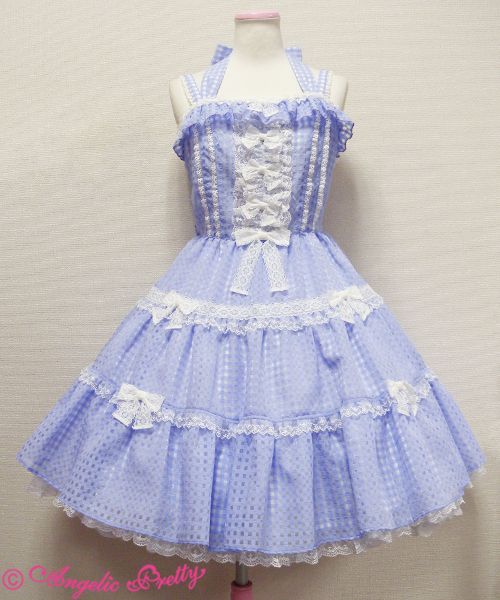 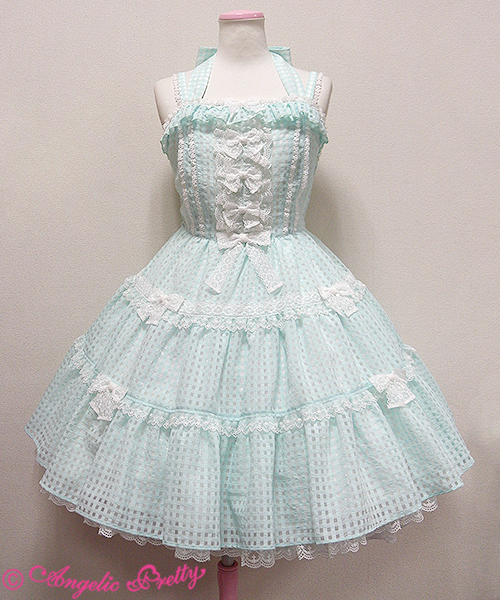 Angelic Pretty just released the adorable dresses, I love these pastel colors but they also come in navy and black. The details look adorable and the fabric is really cute. It's simple without looking like every other dress. 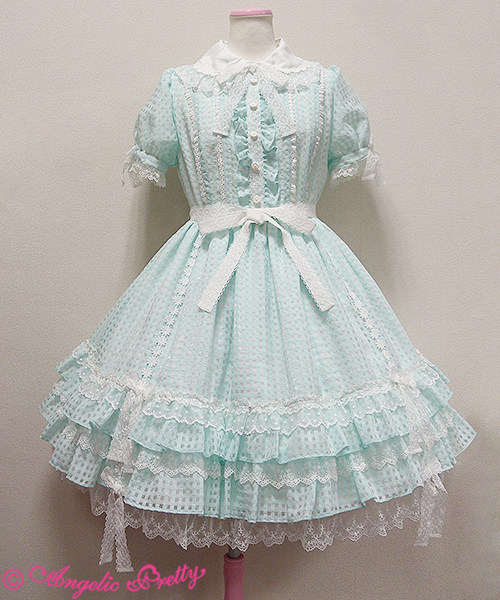 The lace looks really cute and the cut looks like it would be flattering. I actually think you could wear the jsk without a blouse for the summer since it has the halterneck ribbon, if you coord it right that is.